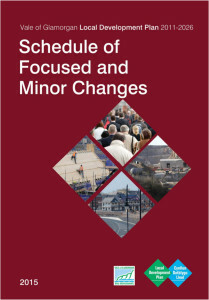 The Vale of Glamorgan Council today publish their ‘Focused Changes’ document, in response to their consultation on the Local Development Plan. This is the next stage in the Council’s ongoing efforts to get its Local Development Plan implemented, setting out what it will do after the public’s response to the LDP, which was published in Autumn 2013. As we reported then, the proposal for the railway spur from the Vale line into the Airport was dropped, but the threat of it remained in the document, which set out the need to “safeguard” a route for the potential rail link. People were invited to comment on the LDP, and these comments were taken into account, and now a document called ‘Focused Changes’ has been published. There will now be a period of consultation on these changes only. Whereas the LDP proposals were ‘safeguarding’ the potential spur route, the new document proposes a change that will see the wording change to ‘consideration’, saying instead. So there are currently no plans to build the spur. This is good news for residents of the Vale, who would have seen their local train services depleted by the demand on the line for the airport. It’s good news too for the wildlife and ancient woodlands that will not now be destroyed to make way for the spur, leaving more of this beautiful green wedge landscape intact. BUT the idea of the spur remains in the planning document. So, the door has been left ajar for the moment, without being firmly closed and locked – and we will need to keep an eye on future developments. Bad news remains, for Gethin Jenkins and Rhys Jenkins, whose family farm lies in the middle of the proposed Enterprise Zone. 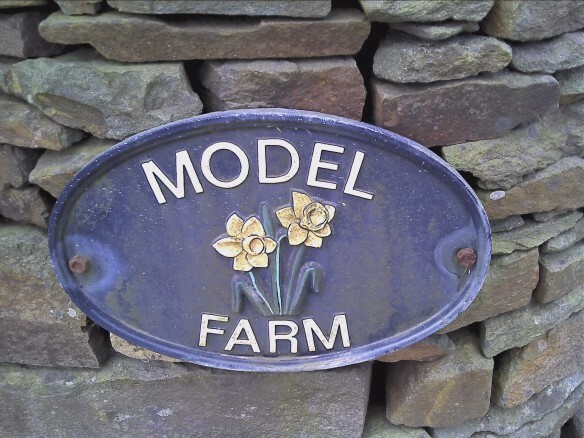 They and their home at Model Farm were featured on the Stop The Spur website in March 2012. Despite a slight change in the spur plan the future of Model Farm remains grim. As soon as the Enterprise Zone starts to expand from its current location, the farm will stand in the way. As the land allocated for the current enterprise zone isn’t yet full, it may be a while before this happens. But it looks like Rhys’ prospects of continuing the family farming tradition in the longer term may be destroyed.